Perfect for bringing a comforting beach lifestyle into your home or office, the Vintage Blue and White Decorative Lifering 15" is the ideal piece to create that soothing ocean mood in any beach theme home. Lightweight foam construction will make this beach home accent, a conversation starter when guests walk through your door. Transform any room into a seaworthy experience without the water. This rustic style life ring is accented by rope where bands are typically placed. 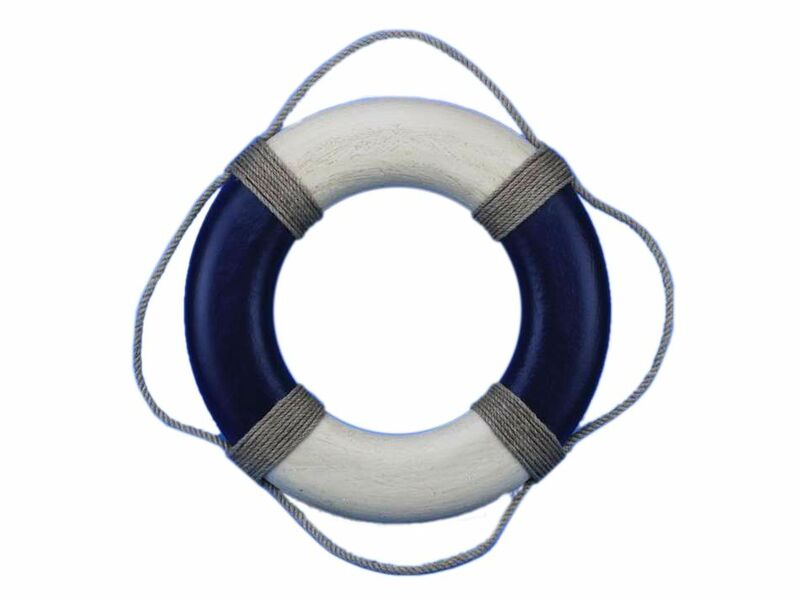 This lifering can easily be hung by the weathered grab rope to accent a wall in a beach home.